The bestselling author of Eeny Meeny and Pop Goes the Weaselbrings back Detective Helen Grace, who is hot on the trail of a twisted serial killer in this gripping new thriller. Detective Helen Grace is on the trail of a twisted serial killer in this gripping thriller in the “taut, fast-paced”* international bestselling series. Let me start off by saying that I loved this third book more than the last one. This one kept my heart pounding. I felt like I was in that room with Ruby. I felt the fear/terror she felt every time her captor was there. He expected her to behave in a normal manner at times. This in my opinion was part of his delusion. This book starts off with our favorite detective finding a body buried on the beach, then later two more. She knows it isn't a coincidence. This serial killer was more terrifying to me. He kept his victims for prolonged periods of time and even after they were dead he kept their loved ones believing things were okay because they received text messages from them. That scared me realizing that this could and has happened in our present time. 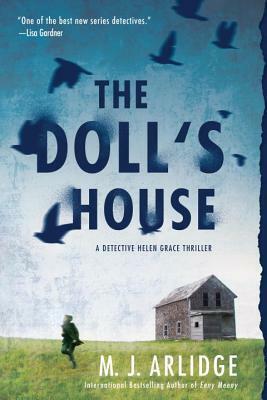 When Helen discovers Ruby Sprackling has disappeared she is sure that Ruby has fallen victim to this same serial killer. She is determined to do everything in her power to make sure Ruby comes home. I found myself often holding my breath. There is so much tension in this book. If you haven’t read this series I would suggest you pick this series up and get started.